Dubai: Qatar Airways Group, the parent company of the Doha-airline, reported a 1.6 billion Qatari riyal ($445 million) profit on Monday that appeared to be largely due to a significant drop in fuel costs. The Qatar government-owned group’s fuel bill fell by almost 3 billion Qatari riyals — or 28 per cent — in the fiscal year to March 31, according to financial documents released on Monday. Its profit in the previous fiscal was 374 million Qatari riyal. Group revenue grew by 3.8 per cent to 35.1 billion riyals, up from 33.8 billion riyal, according to the documents. It is the first time Qatar Airways has released financial results. 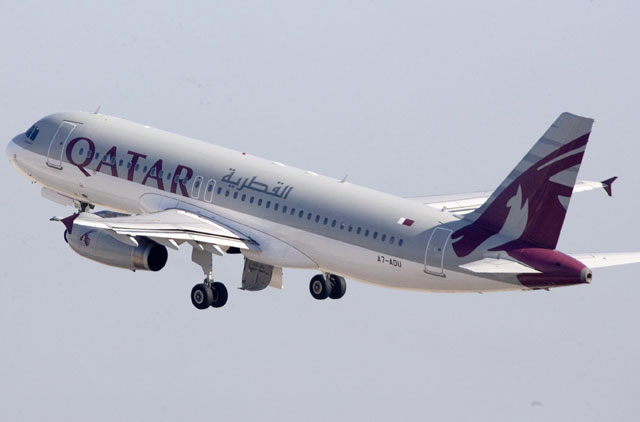 Qatar Airways said the fiscal year was the group’s “best yet” with it increasing its cash balance by 54 per cent to 12 billion riyal, despite adverse impacts of currency fluctuations and expanding its network to 13 new destinations. Individual profit and revenue figures for Qatar Airways, the Middle East’s second largest carrier, Doha’s Hamad International Airport and other Qatar Airways Group subsidiaries were not in the documents. Will Horton, senior analyst at CAPA – Centre for Aviation, told Gulf News that he calculated that the airline accounted for 92 per cent of group revenue. “From the numbers stated, the airline must have on some level been profitable according to the accounting. The other businesses could not have exclusively generated the group’s profit, according to the report,” Horton told Gulf News in an email. Qatar Airways Group did not say how many passengers the airline carried. Qatar Airways, along with Emirates and Etihad Airways, has been facing over 18 months of allegations from the United States biggest carriers that it receives unfair subsidies from the Qatar government. The Gulf carriers have consistently denied the allegations. US officials are to meet with Emirati and Qatari counterparts this month to discuss the claims. John Strickland, aviation expert and director of UK-based JLS Consulting, told Gulf News it was “encouraging” to see Qatar Airways sharing details of its business model.